Tradicionaly made on Spanish Cipress. 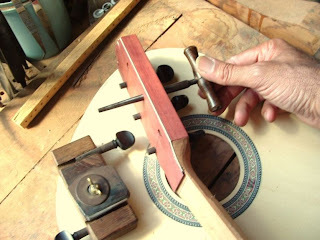 Seqouia or Spruce is used at top. 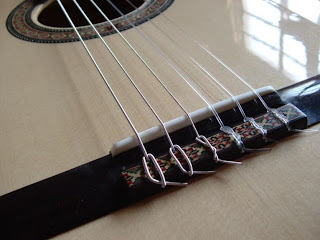 Ebony pegs and fingerboard. A collor less "golpeador" protects top from finger nails scratchs. 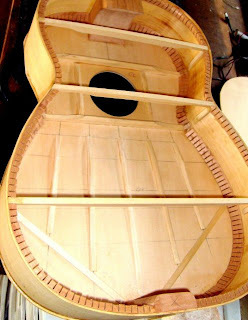 Very light instrument, it has low action and a wider neck as caracteristics. 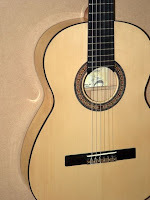 The so called "Guitarra negra" uses Rosewood and not Cipress. 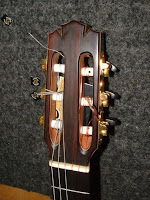 Tuning machines are optional in place of wooden pegs.